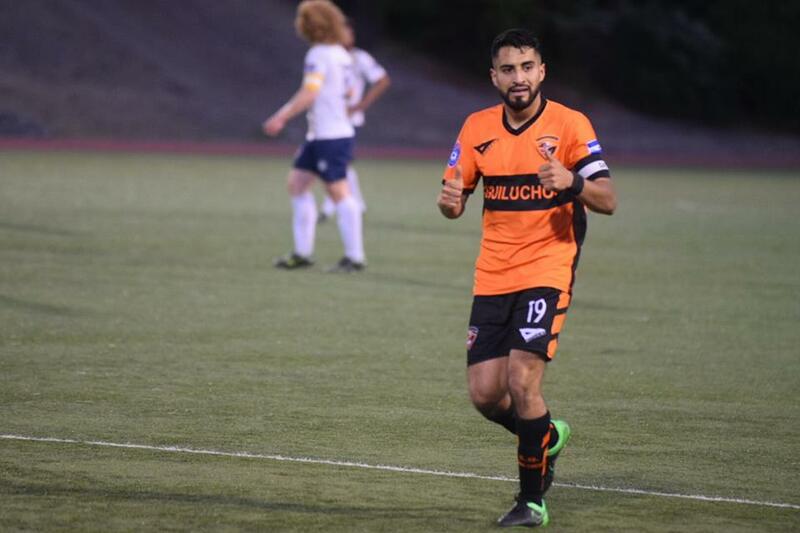 Club Deportivo Aguiluchos USA clinched the NPSL Golden Gate Conference title on Saturday, May 27th, with a 2-1 road victory against their Alameda County Derby rivals, East Bay FC Stompers. The Aguiluchos were without star striker, Simon Rawnsley, who leads the team with 9 goals. It didn’t matter however, as Captain Ricardo Guerra led his team to victory with 2 goals of his own. The Aguiluchos came into the match with 22 points out of a possible 24 from their opening 8 games. The only points they dropped all season were in a 1-1 road draw against the Sacramento Gold. The win against East Bay FC was their 3rd victory over their rivals on the season. The Conference title was not guaranteed with a win alone, as the Sonoma Sol needed to drop points to ensure the Aguiluchos the Conference crown this weekend. Sonoma ended up drawing against Napa Valley at home, thereby conceding the Golden Gate title to the Aguiluchos with 3 games still to play for the 1st place side. The 2017 season is the first Conference title victory for the Aguiluchos since they joined the NPSL 5 years ago. The Aguiluchos failed to make the playoffs in their first 2 seasons, but have now reached the playoffs in 3 consecutive years. They did however, make a strong playoff run in their 1st playoff appearance in 2015, when they won the West Region playoffs and reached the National semi-finals. The hero from the match on Saturday night for the title clinching win was the Captain of the Club, right-back/right-winger, #19 Ricardo Guerra. Guerra has been on a tear of late, scoring in 3 consecutive matches as well as providing an assist in last week’s 5-3 victory. His consistent play has earned him 2-consecutive NPSL team of the week honors, something he will likely be part of again this week after his performance against the Stompers. Guerra was also a part of the Midfieldpress Golden Gate Conference Best 11 last season, and is arguably one of the best team leaders in the entire NPSL. Another key contributor this season for the Aguiluchos is the 2-time defending NPSL Golden Boot winner, #9 Simon Rawnsley. While he missed this week’s game, he still is averaging a goal a game through the opening 9 matches of the season. His scoring ability will play a key role in the Aguiluchos’ playoff run. The Aguiluchos have multiple other key players this season. All of these players will need to play big roles if the team hopes to one-up their 2015 National semi-final campaign. This group starts with former NPSL player of the year, Ross Middlemiss. Middlemiss hasn’t been quite as dominant this year as in years past, but he is certainly the most important player if the team is to make a deep playoff run. Jesus Maldonado who has 4 goals on the year has been an important part of the Aguiluchos midfield along with Ahmad Hatifie and Selaab Ghafouri. Hatifie and Ghavouri have both been provisionally selected for the upcoming Afghanistan National team roster. The center-back pairing of Bengy Ruiz and Jose Cabeza have been strong as well. The Aguiluchos will now have 2 weeks off to prepare for their final 3 regular season matches. While the Conference is already wrapped up, these 3 matches will be a good chance for the team to solidify the overall team chemistry and depth heading into the playoffs. It’s not like the team doesn’t have anything left to play for, as they can still finish with an undefeated record and work towards a potential home field advantage in the playoffs. They will end their regular season on July 2nd at Burrell Field in San Leandro when they host the Sonoma County Sol.